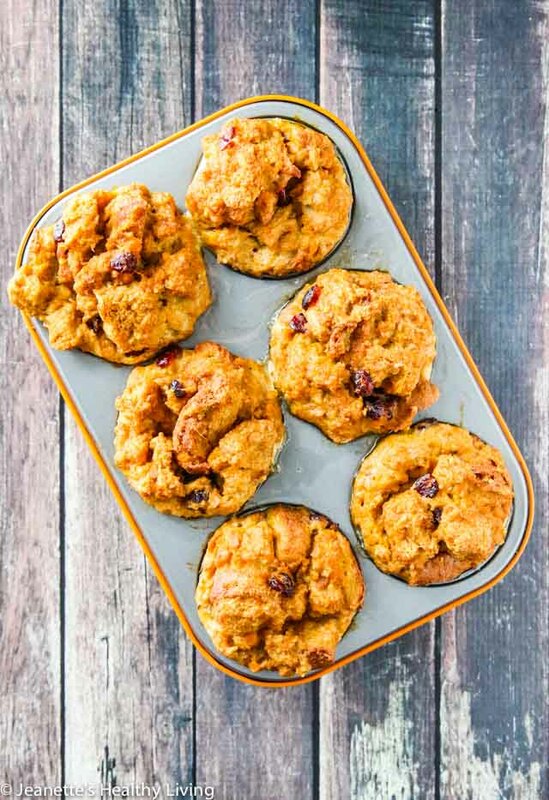 Pumpkin Orange Cranberry French Toast Muffin Cups are perfect for busy weekday mornings. 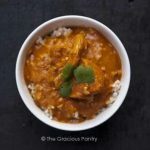 Prep ahead and pop in the oven the next morning, or bake and reheat as needed throughout the week. Quick and easy breakfasts that can be prepped ahead are the way to go for busy families. If they’re portable, even better. 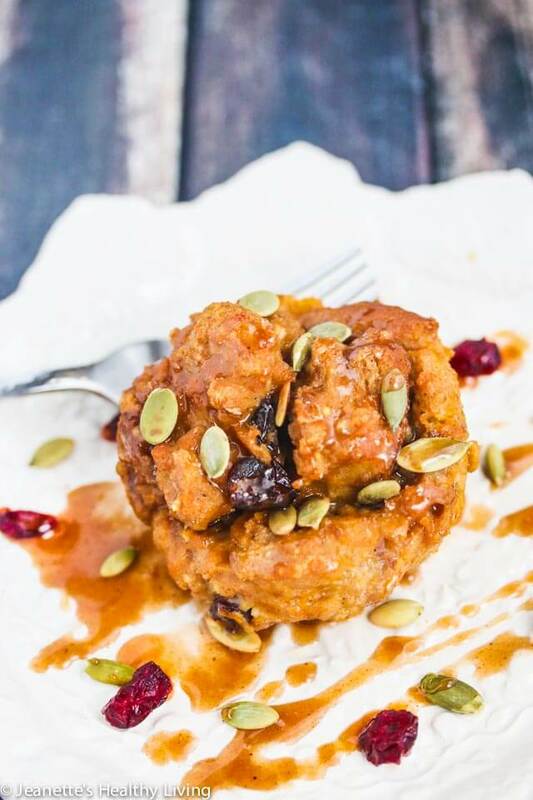 Pumpkin Orange Cranberry French Toast Muffin Cups fit the bill. 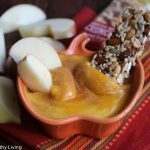 They are easy to make, healthy, and will satisfy your and your kids’ appetites. What I love about these French toast muffin cups is that they’re individually portioned, which makes it easy to grab and go for breakfast. 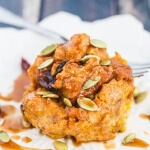 The ingredients in these Pumpkin Orange Cranberry French Toast Muffin Cups complement each other really nicely. 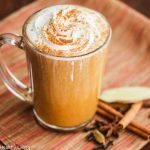 Orange zest, dried cranberries, coconut milk, and pumpkin spice have a natural affinity with pumpkin. Orange zest adds a delightful fragrance. AllWhites® 100% liquid egg whites replace whole eggs to lighten up these French toast muffin cups. I’ve been using AllWhites 100% liquid egg whites in place of whole eggs because they are cholesterol-free, fat-free, and are a low-calorie source of lean protein (each serving contains 5 grams of protein and is only 25 calories). They’re also very convenient to use. I left the crust on the bread, but you can cut it off if you like (freeze the extras for bread crumbs). 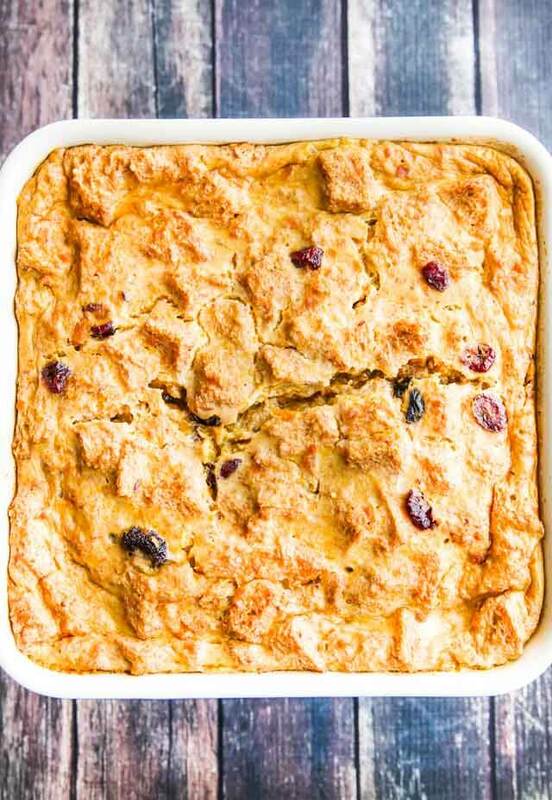 Whisk all the wet ingredients together, and then toss the bread cubes and cranberries gently in this mixture. Transfer to a well-oiled non-stick muffin tin. 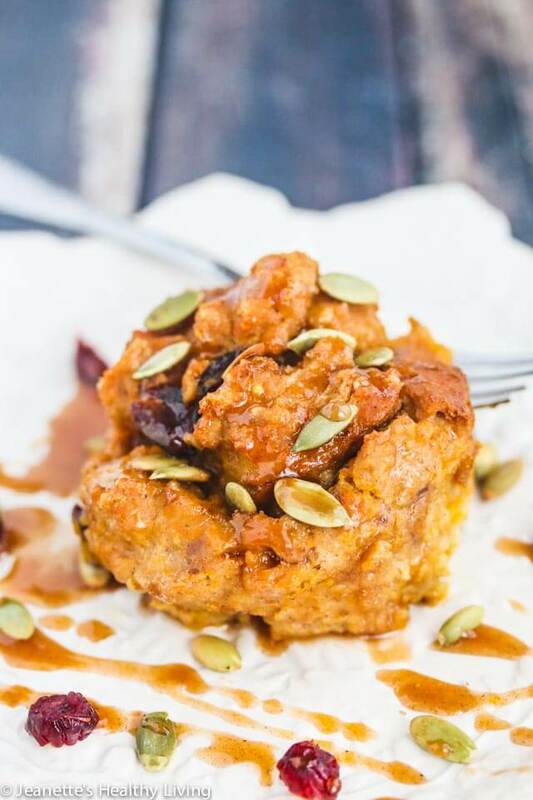 Pumpkin Orange Cranberry French Toast Muffin Cups can be baked right after mixing all the ingredients together, or you can refrigerate it overnight and bake the next morning. Dried cranberries plump up and the French toast muffin cups take on a more custardy texture if you let it sit overnight. 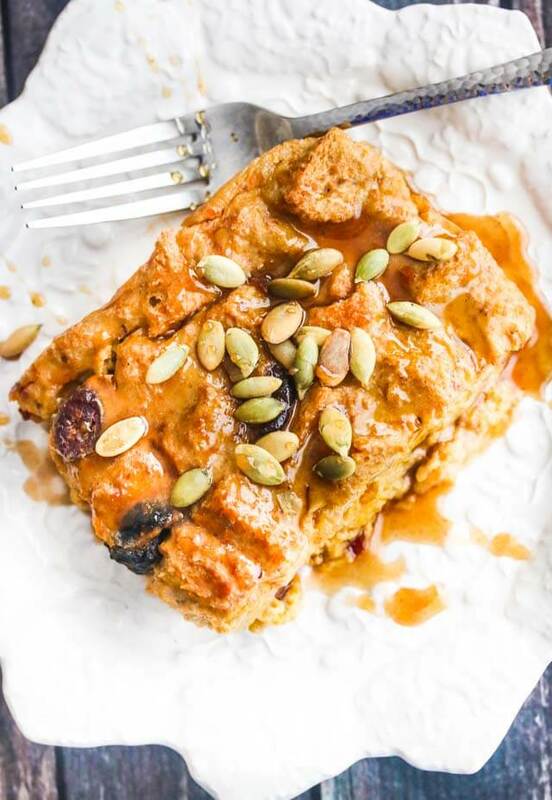 Pumpkin spiced honey and a sprinkle of toasted pumpkin seeds on top of these pumpkin orange cranberry French toast muffin cups tantalize the taste buds with a little crunch and decadent sweetness. These individual French toast muffin cups are perfect for busy weekday mornings. Just reheat and you’re ready to go. 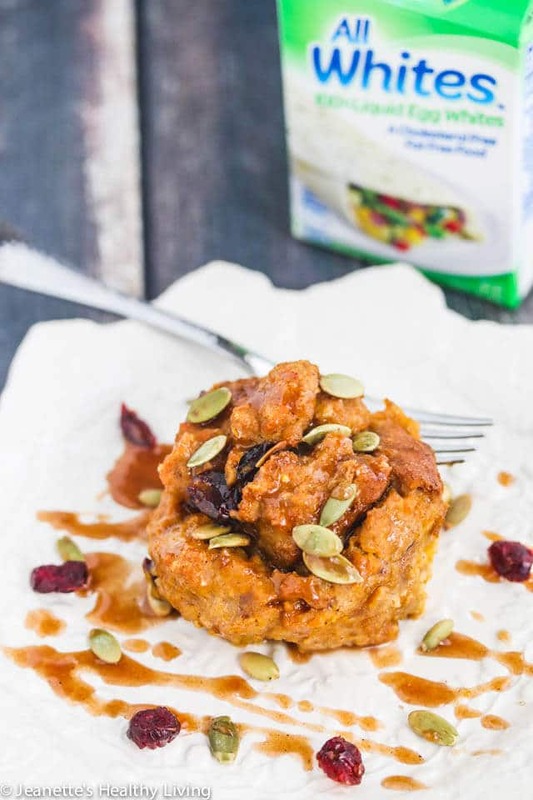 Each Pumpkin Orange Cranberry French toast muffin cup has 266 calories, 11.7 grams of protein per serving and zero cholesterol! No guilt here. 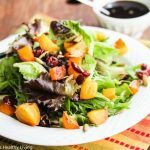 This recipe can also be baked in an 8″ square baking dish, so you can just slice and serve it. This serving suggestion would be great for weekend breakfast or brunch. 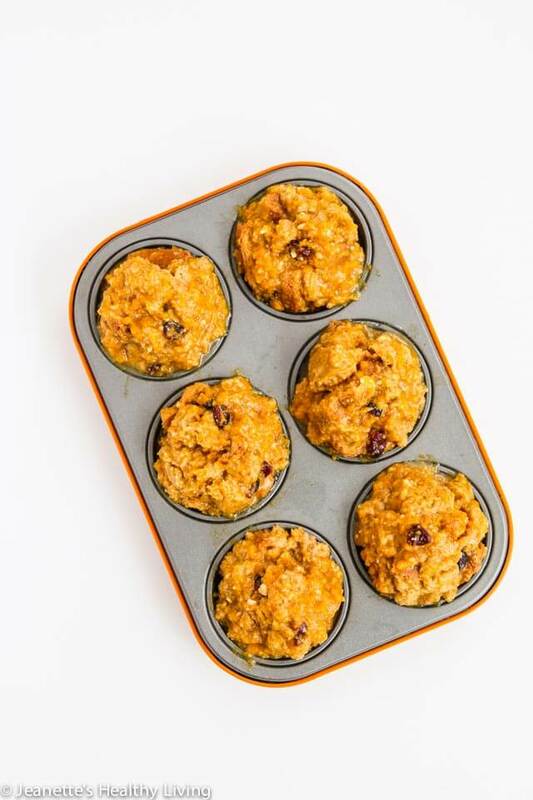 Just like the French toast muffin cups, this can be refrigerated overnight and baked the next morning. Personally, I like the individual French toast muffin cups. They’re way cuter. What do you think? 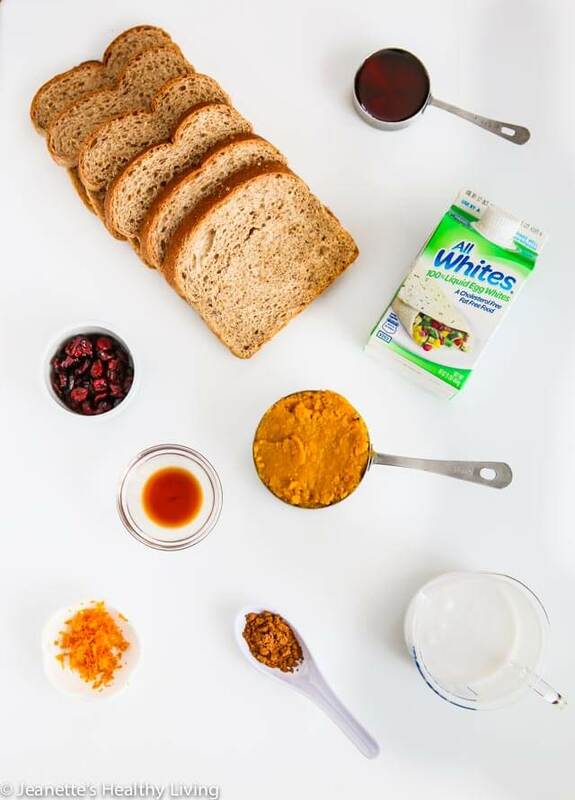 Check out AllWhites on Facebook, Twitter, Pinterest and Instagram for more recipe inspiration using liquid egg whites. These French toast muffin cups can be prepared the night before and baked the next morning, or baked ahead of time and reheated throughout the week. You can also bake this in an 8" square baking dish for 45-50 minutes. Preheat oven to 350 degrees unless you are preparing this the night before. 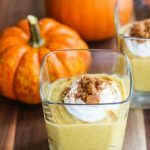 In a large bowl, whisk together pumpkin, egg whites, coconut milk, orange zest, vanilla, pumpkin spice mix and maple syrup. Add bread cubes and dried cranberries. Divide French toast mixture among 6 well oiled muffin cups. Bake 30-35 minutes, until French toast mixture is set. If you're gluten-free, use whole grain gluten-free bread. This is a sponsored conversation written by me on behalf of AllWhites 100% Liquid Egg Whites. The opinions and text are all mine. I haven’t used egg whites in place of whole eggs for breakfast. This is such a great idea of using some leftover sandwich slices! Yum! What a great idea, I love the personal muffin cup idea. 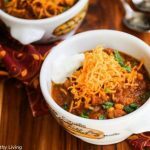 I’ll be trying these this fall! i love using the whole egg, but adding a couple of egg whites when i need a boost of protein! I add egg whites to my oatmeal for an extra protein boost! 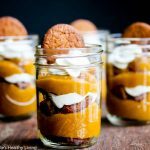 Pumpkin everything!! 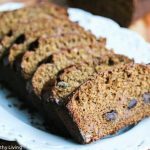 Love this easy recipe! 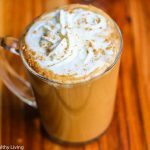 I’ve been experimenting with french toast in a mug all week using egg whites, this sounds fantastic! Absolutely! We love the yolks, but sometimes we’re down for whipped egg white waffles or pancakes for the extra fluffiness. And there’s never a bad day for French toast… Thanks, and cheers! 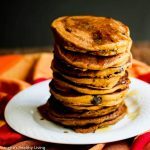 Those look so delicious and perfect for this time of the year! I have used egg whites before and I LOVE them. Lately I have been making an oatmeal concoction and it turns out great every time! I’ve never specifically used egg whites instead of whole eggs but I may try it! I love the individual ones, and gosh what a handy thing to have them ready to pop into the oven in the morning. I tend to mix egg whites with whole eggs! I use a combination of whole eggs and egg whites, cuts down on some of the fat. Doing this diet change in baby steps. Yes, I love egg whites with lots of pepper. So yummy! Yes I use egg whites all the time for breakfast, I usually add some spinach to them and some salt free seasoning. I have tried the egg whites product in the past, they are just as good as the ‘real’ thing. Yes I have subbed egg whites in recipes before. We use whites all the time for omelets, French toast, waffles and pancakes. Yes, we eat normal egg white scrambles instead of regular eggs. I have not used egg whites in place of whole eggs before. This recipe looks delicious. I will have to try AllWhites!